≈ Kathryn Tickell’s wisdom is spot on according to Eliza Carthy who has just teamed up with Bella Hardy (BBC Radio 2 Folk Awards winner), Lucy Farrell (BBC R2 Folk Awards nominee), and Kate Young (Ethno Transit award winning composer) to form LAYLAM whose debut album is released on 21st January via Eliza’s on label Hem Hem Records. ¶ ‘Laylam’ is a collaboration between four of folk music’s favourite award winning fiddlers / singers - Eliza Carthy (twice Mercury Music nominee and multiple awards winner), Bella Hardy (BBC Radio 2 Folk Awards winner), Lucy Farrell (BBC R2 Folk Awards nominee), and Kate Young (Ethno Transit award winning composer). 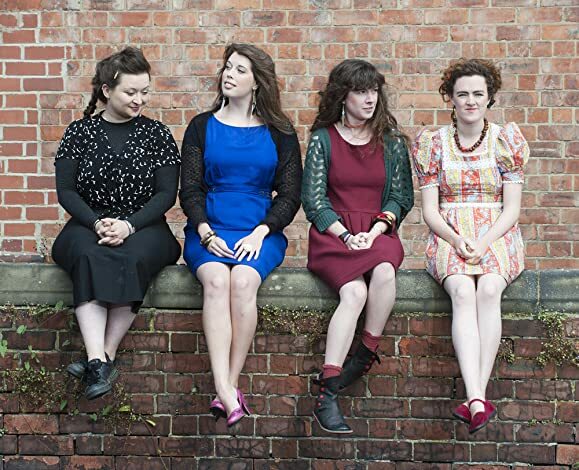 ¶ The album is a selection of eclectic traditional folk songs, sourced from Cecil Sharp House, Ralph Vaughan Williams collections, or passed on from family and friends, alongside some vintage 1940s songs, all given a new wave alt-country sound with the girls’ original arrangements. ¶ ‘Laylam’ will appeal to anyone interested in folk, fiddle, singer songwriter, close harmony and Celtic musics, and fans of Kate Rusby, Laura Marlin, Eleanor McEvoy, Beth Orton, KT Tunstall, Eva Cassidy, Fairport Convention, Bellowhead and Kathryn Roberts, among others. ¶ Eliza Carthy is undoubtedly one of the most impressive and engaging performers of her generation. Twice nominated for the Mercury Prize and winner of innumerable other accolades over a 15 year career, Eliza has performed and recorded with a diverse array of artists including, Paul Weller, Rufus and Martha Wainwright, Nick Cave, Patrick Wolf and Bob Neuwirth. More than most, Eliza Carthy has revitalised folk music and captured the most hardened of dissenters with intelligent, charismatic and boundary-crossing performance. ¶ Eliza grew up immersed in the world of traditional music. She still divides her time between touring and recording with her legendary parents, Martin Carthy and Norma Waterson as well as engaging in numerous pioneering solo and band projects, including work with Pere Ubu and Melanie Challenger, an artist in residence in Antarctica. In what has become something of a parallel career, Eliza has co-presented the BBC Radio 3 World Music Awards, been a regular guest-presenter on the BBC Radio 2 Mark Radcliffe Show and has made many appearances on BBC TVs 'Later with Jools'. In her own right, Eliza has been the subject of an hour long ITV documentary ('Heaven & Earth') and 'My Music' on Channel 5. Comedian and writer Stewart Lee describes Eliza as "Not the Messiah, but a very naughty girl". ¶ Bella Hardy's soaring and captivating voice inhabits her characters and spins her stories with an equal balance of strength and sensitivity. She presents folk songs in the best tradition, not as antiquated museum pieces, but as relevant and very human artworks. Winner of the BBC Radio 2 Best Original Song 2012 for The Herring Girl, and nominated for the same award in 2008 for Three Black Feathers, her own songs range in subject matter from fairytales to English working class history, via childhood nostalgia, myth, murder and the human condition, touching on both the fantastical, story telling elements of Kate Bush, and the lovelorn songwriting craft of Carole King. ¶ From Edale in the Peak District, Bella Hardy has released four critically acclaimed solo records, most recently The Dark Peak and The White (Noe, 2012) and Songs Lost & Stolen (Navigator, 2011), toured extensively, and featured across the national media on shows such as Radio 4's Women's Hour, Radio 3's The Verb, and Radio 2's Terry Wogan Show. ¶ Kate Young is Scotland's rising folk pioneer, leading an exploration of traditional and world music with an intoxicating passion and drive, captured as her soaring voice and fiddle dance together to create a uniquely diverse and poignant sound. Her deep love for the art of song-writing is always evident, her compositions demonstrating her desire for endless sonic discovery, yet steeped in the natural landscapes of her home in Borthwick. Her long anticipated debut album will be released in Autumn 2012 under the name of her trio 'Kate in the Kettle'. Young is involved in many different musical projects, and tours internationally with world-music band 'Ethno in Transit'. She also worked as a researcher with the project 'En-Compass' travelling to Kenya, China and British Guyana to gather cultural artefacts for exhibition. ¶ Lucy Farrell began lulling the folk scene with her rich and honeyed voice when she left her Kent home to study the Folk and Traditional Music course in Newcastle in 2004. ¶ Since then, her exploration of traditional and contemporary song has touched the hearts of audiences well beyond the folk world, her beguiling and crystal clear singing style crafting stories with spellbinding skill. Her talent for song writing is also gaining recognition; her melancholic and heartbreaking To The Boy, which she recorded with duo partner Jonny Kearney on The North Farm Sessions EP, featured in Ian Fitzgibbon's 2011 film Death of a Superhero. With Kearney, Farrell has been nominated for two BBC Radio 2 Folk Awards. A versatile musician on fiddle, viola, and musical saw, Farrell is in popular demand as a session player, and can be seen performing regularly in The Emily Portman Trio. ¶ Kate Young is a fiddle player, singer,composer and teacher from Scotland who's musical journey is constantly enticed by songs, stories, medicinal remedies and the ways of the natural world, some of which become part of her ever-changing creative expressions. ¶ When about five years old, Kate was beckoned into a world of endless sonic discovery by an old antique piano she saw in a junk shop. Her family brought it home and Kate would spend hours making up tunes on it, letting her childish imagination venture through harmony and colour. Later, she began to learn Scottish and Irish folk tunes on the fiddle at various workshops in Edinburgh. She tried out many different instruments, enjoying exploring the way her musical voice changed as she did so, while also falling in love with the art of song-writing. ¶ Kate spent much of her teenage years developing her own song-writing style, steeped in the natural landscapes of Borthwick, where she grew up. She decided to continue on this musical path and graduated from Newcastle University with a First-Class Honours degree in BMus Folk and Traditional Music, majoring in Voice and Fiddle. It was on that course that she learned a great many things about playing and singing in different ways. Perhaps the most important thing that happened there was when American fiddle-singer, Laura Cortese gave a workshop in how to accompany a song with the fiddle. This brought about a revolutionary idea for Kate as a seed was planted in the beggining of bringing the two worlds of fiddle playing and songwriting that she had long ventured upon, closer together. ¶ Years later, Kate had spent most of her time on even more musical adventures with this fiddle-voice combination, as she endeavoured to push those instruments out of their comfortable arm-chairs and explore her voice as an instrument more than a means to tell a story, and the fiddle as useful accompaniment for that. She had truly found something special when her voice box resonated so close to the sound chamber of the fiddle, dancing together to create a sound of great diversity and poignancy. ¶ She had the privilege to become a member of World-music band, Ethno in Transit and travel the world playing and collecting all sorts of tunes and songs. After graduating she worked as a researcher as part of a project through Newcastle Univeristy called En-Compass, where a team of people working in the arts and world heritage travelled to Kenya, Hainan Province in China and British Guyana in order to gather artefacts - such as tribal song and dance rituals for an exhibition. Some of theier research can be found here: www.en-compass.ac.uk . 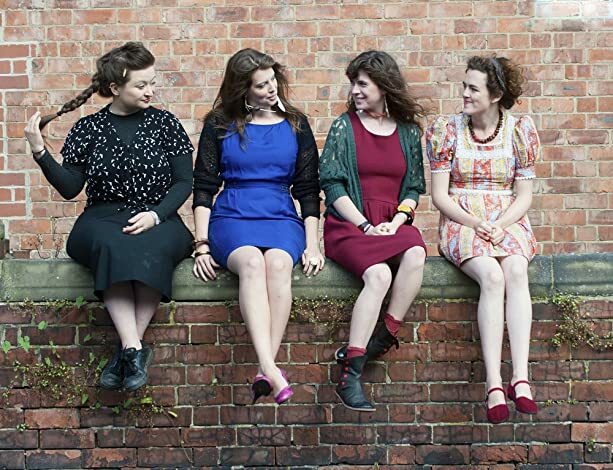 ¶ Kate has also worked along-side Mercury Music Prize nominee and multiple BBC Folk Award winner, Eliza Carthy, in a "Fiddle-Singers' concert with Bella Hardy and Lucy Farrell. Kate also plays her own material, inspired by traditions and her imagination in the trio, Kate in the Kettle. ¶ She has also had some wonderful opportunities to compose scores for different musical ensembles. In 2011, she worked with a quartet from The Sage Gateshead's Northern Sinfonia orchestra to perform her piece, 'Wing'd Entropy', in Kathryn Tickell's 'Create' project. Kate continues to expand her repertoire for quartets, experimenting with the combination of song-writing also. In 2009, she was awarded the Alan Hull Award for Song Writing and Composing.